This past weekend was Jay & Jack’s 8th annual charity podcast. This year, they podcasted for 13 hours to raise money for Autism Speaks. The total raised so far was $3,000. Here is the information on how to donate. Donations are being taken for the next several weeks. I am going to post about that this week, but am waiting to see if anyone who was here can send me some of their pictures. 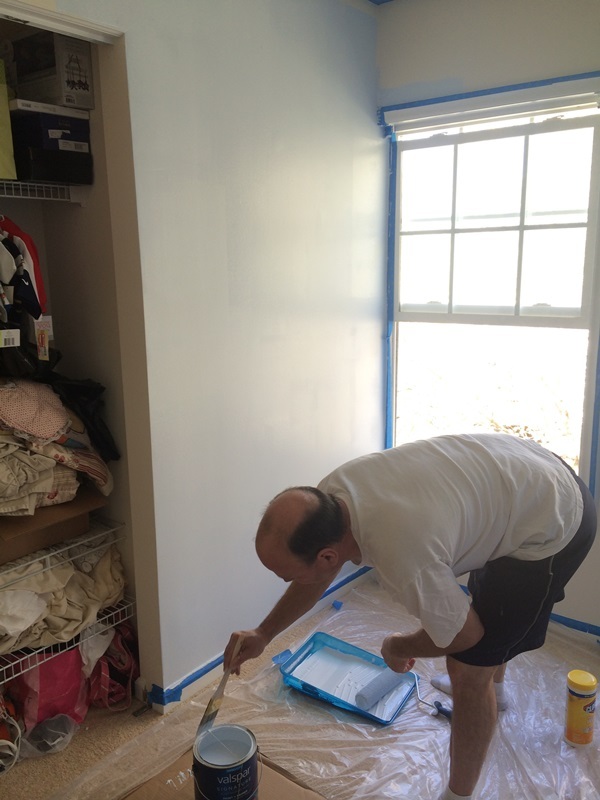 In other news, Baby G’s nursery has been painted! I said I’d post some pictures of the before & after, so here they are. 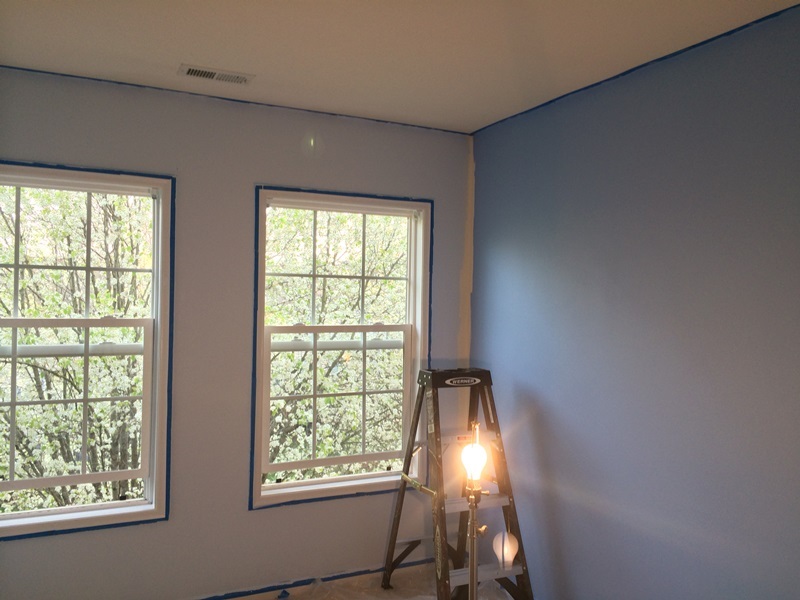 We chose a lighter blue for three walls and a brighter blue for an accent wall. 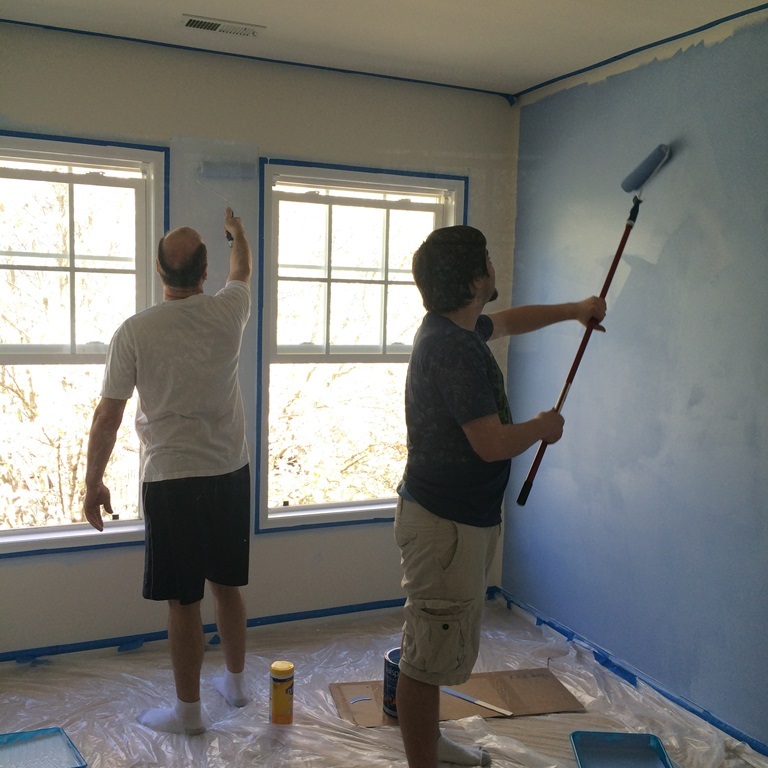 Big, big, BIG thanks to Jack for coming over to help paint. They did a great job. 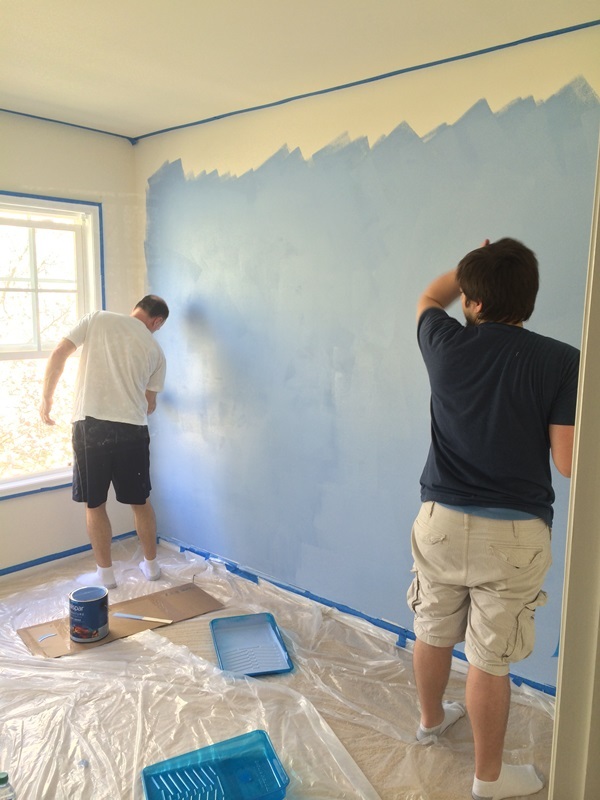 They painted all day last Wednesday (April 2) and Jay worked really hard to finish up the edges and the touch-ups on Thursday and Friday. I need to give Jay HUGE props for working so hard on everything he has done to help get us set for our son. He has done a better than amazing job and I am so lucky to have him as my partner and best friend. On Saturday, we cleaned everything up in there and put up the window valances that Jay’s parents got for us off of our registry. We went with the “Rockstar Monkey” theme because it’s a monkey playing a guitar just like Jay plays guitar. I will still post the registry links, but we are registered at Babies R Us and Amazon. 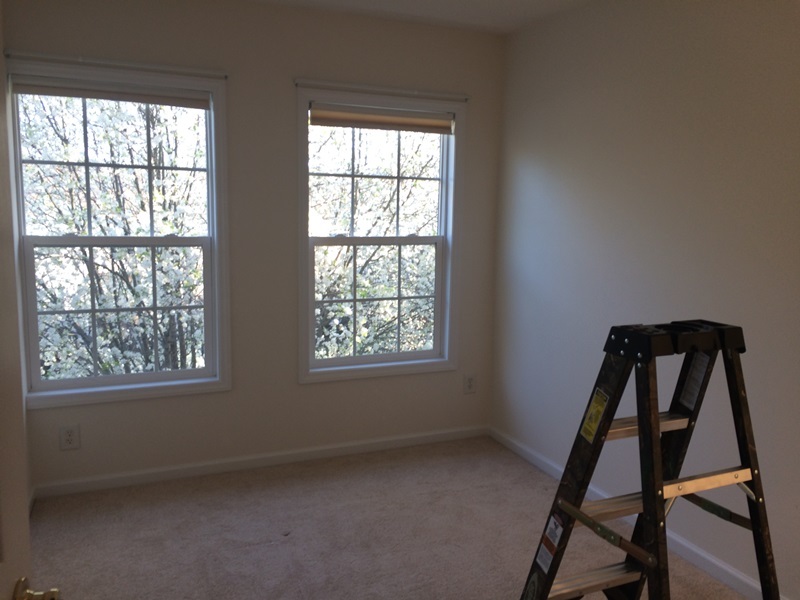 Now that we have it painted, phase 2 will be actually getting furniture in there. I’ll definitely be taking pictures of that process, too. Anyway, without further ado, here’s Baby G’s nursery, from start to finish. There’s a lot of pictures, hope that’s okay! The rest of the pictures are after the jump. Excited to share them! Painting away. Jay is working on the accent wall. It’s not a super dark blue at all. 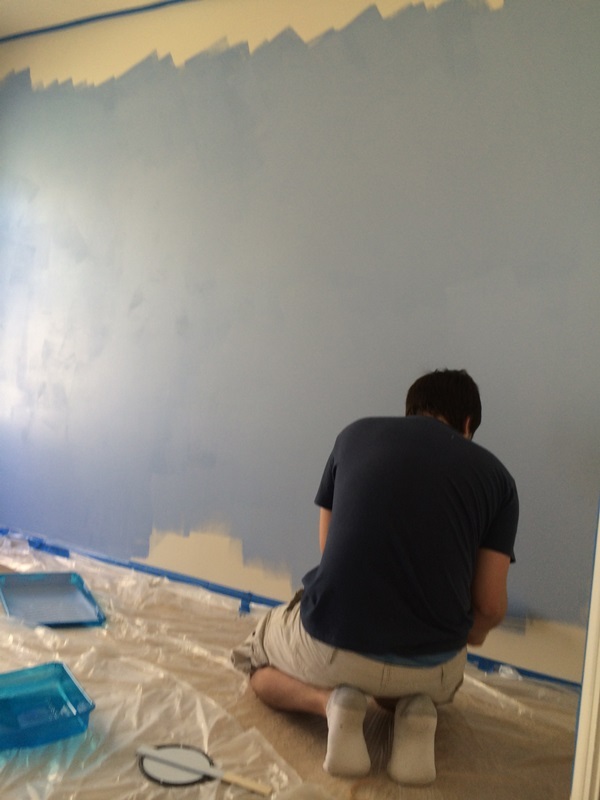 Jack was working on the light blue walls. The morning after, when the bulk of the walls were done, before Jay did the corners and took the tape off. 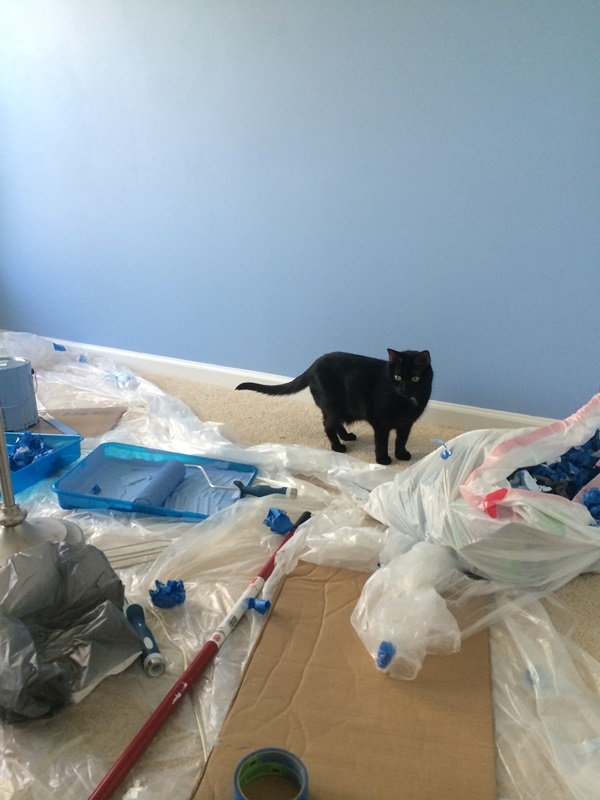 Zoe finally allowed in to survey the aftermath. She’s still a bit confused about where the bed went, lol. 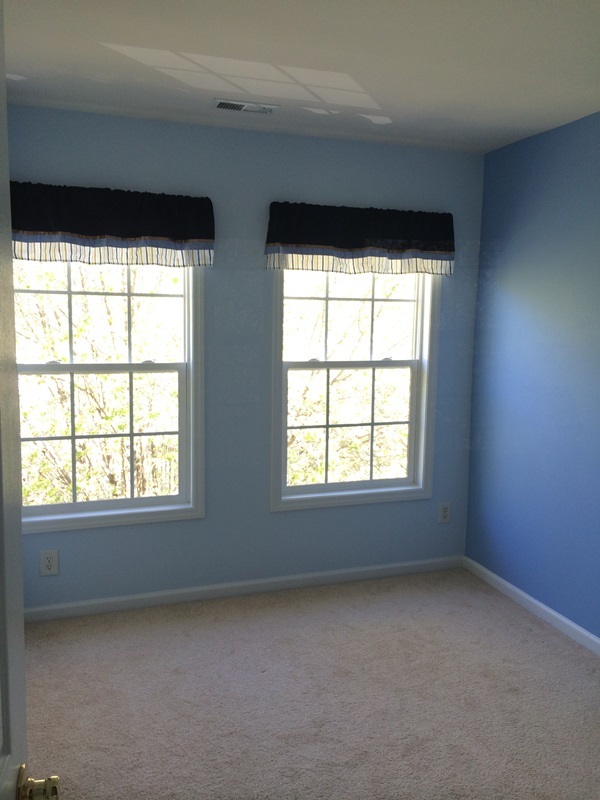 Here’s a good look at the two different paint colors. Voila! 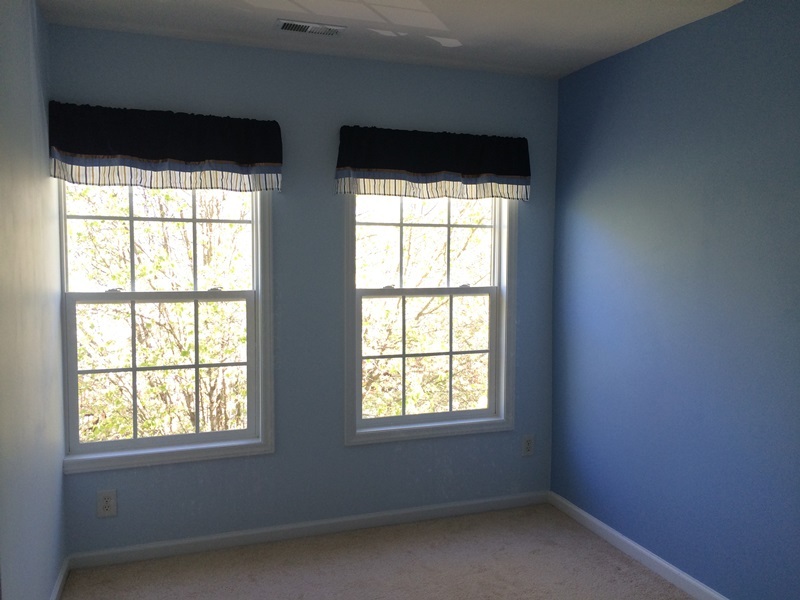 The finished product, complete with window valences. Next stop, getting furniture in there! 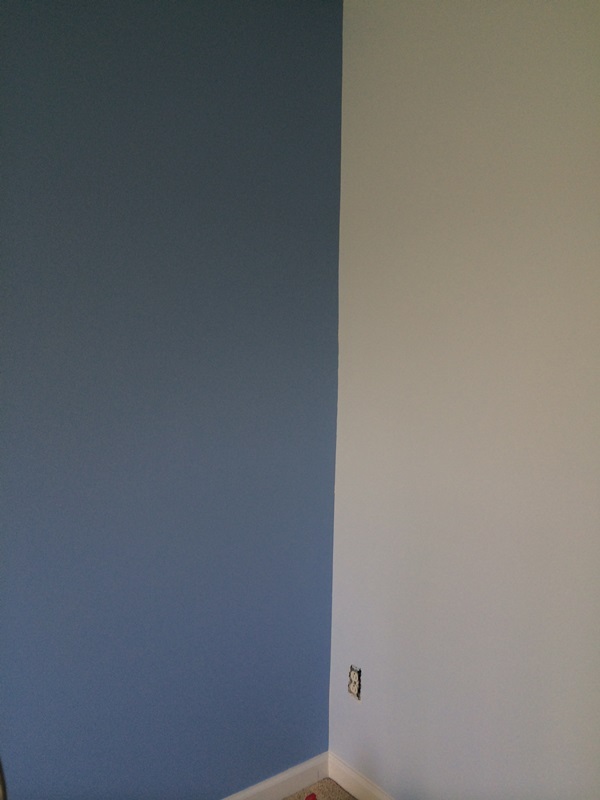 This entry was posted in Baby, Home Stuff and tagged Nursery, Painting. Bookmark the permalink.